This anole lizard licks nectar drops off an octopus tree's berry-like blossoms The nectar oozes out of the little flowers when the heat of the sun hits them. 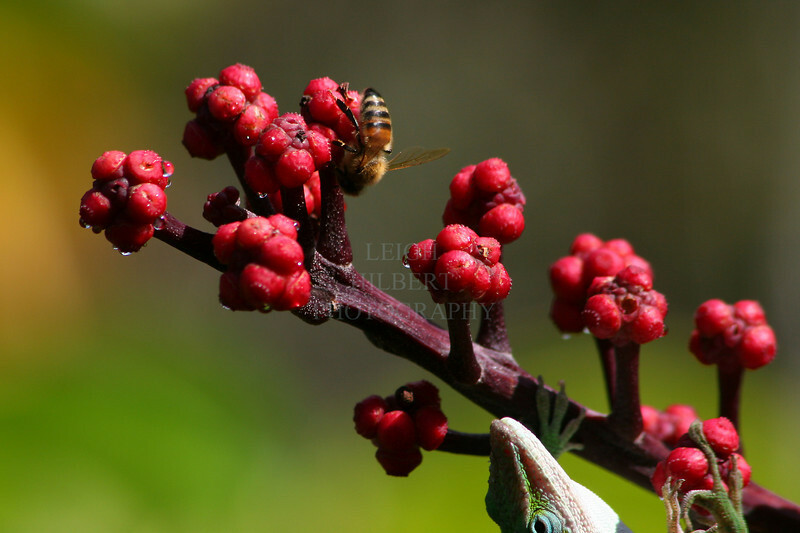 Bees, birds and these anole lizards love it! ~~ Island of Hawaii.